1. CHOP THE CHICKEN & DRY FRY IN A PREHEATED NON STICK PAN WITH THE ONION, GARLIC & SPINACH. 2. SPRINKLE THE CURRY POWDER OVER & COOK FOR 1 MINUTE, THEN ADD THE CHILLI, GREEN PEPPER, BUTTON MUSHROOMS & CHOPPED TOMATOES & SIMMER FOR 5 MINUTES. 3. 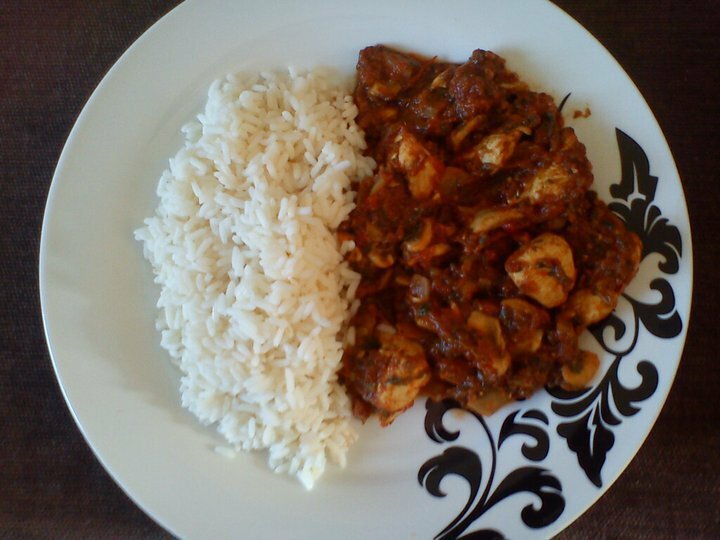 SERVE WITH THE BASMATI RICE.